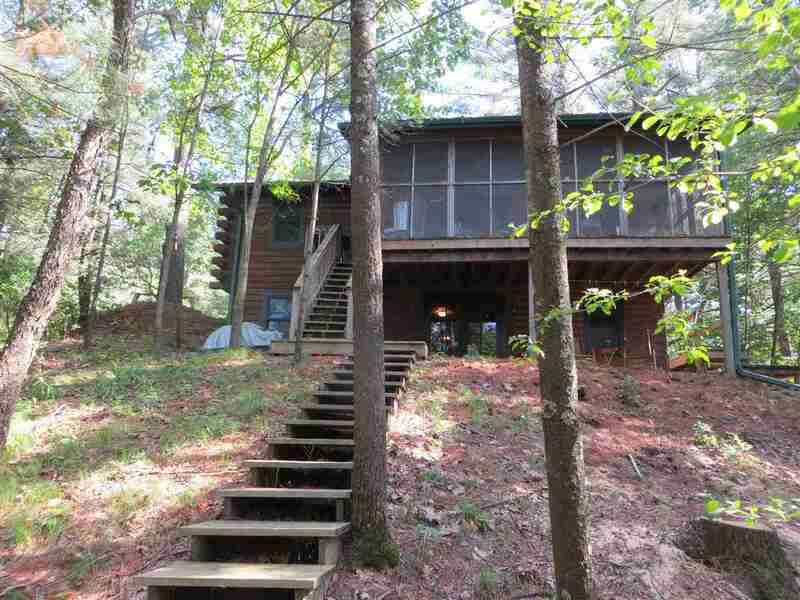 Charming one owner Glacier Lk log cabin has privacy tucked away on 1.7ac in the woods. Open floor plan, kitchen peninsula w/built-in sink, beautiful wood floors, rustic stone fireplace, main level bedroom and large bathroom. Walk-out, full finished basement has 2br, full bath, living area, hobby rm w/work bench. Front deck and 3-season room on lake side are perfect spots to relax & enjoy the outdoor elements. 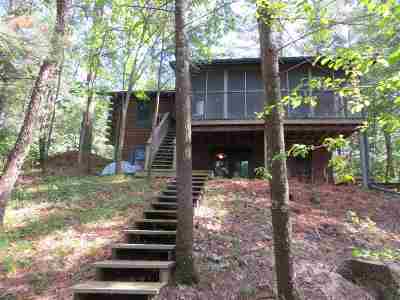 For easiest access, walk next door to out lot for fishing, swimming or kayaking. Steel roof, newer well pump, furnace and air conditioner. Great place to get away from the chaos! Directions: From Oxford Take Cty Rd A North To Ember Ave. 1/4 South To 3rd Ave To Fawn Ct. Property On Left. Items Included: Refrigerator, Oven, Microwave, Washer & Dryer.